The ripe fruit of the annual parasitic herbaceous plant Cuscuta chinensis Lam. of the family Convolvulus. Mainly produced in Liaoning, Jilin and Hebei provinces in China. Collected the ripe fruit in autumn. .
Unprocessed or made cake after boiled and pulped. Sweet, astringing, slightly warm; kidney, spleen and liver meridians entered. Tonify kidney, nourish essence, nourish liver to improve vision, secure essence, reduce urination and stop leukorrhagia, tonify spleen to check diarrhea and prevent abortion. It can be extensively used in various syndromes due to kidney yang deficiency and insufficiency of kidney essence, because it is mild in the action of tonifying, warm without dryness, and it can both tonify kidney yang and supplement kidney essence, which means tonifying both yang and yin. In addition, it also can secure essence, reduce urination and stop leukorrhagia. It is commonly combined with spleen and kidney-tonifying, essence-nourishing and astringing herbs. Such as for impotence, seminal emission, sterility, enuresis, frequent urination due to kidney deficiency, it is combined with Gou Qi Zi, Wu Wei Zi and Fu Pen Zi in the formula Wu Zi Yan Zong Wan; for leukorrhagia and turbid urine due to insecurity of kidney deficiency, it is combined with kidney and spleen-tonifying, damp-dispelling, and leukorrhagia-stopping herbs, for instance, it is used with Lian Zi, Qian Shi and Fu Ling. It is indicated for dim and poor vision, hypopsia due to both liver and kidney deficiency, because it can tonify liver and kidney, nourish kidney essence, and improve vision. It is combined with herbs of tonifying liver and kidney, nourishing essence and blood, improving vision, for instance, it is used with Shu Di Huang and Gou Qi Zi in the formula Zhu Jing Wan from Zheng Zhi Zhun Shen. It is indicated for loosing stool and diarrhea due to spleen deficiency or deficiency of both spleen and kidney, because it can tonify spleen and kidney, check diarrhea. 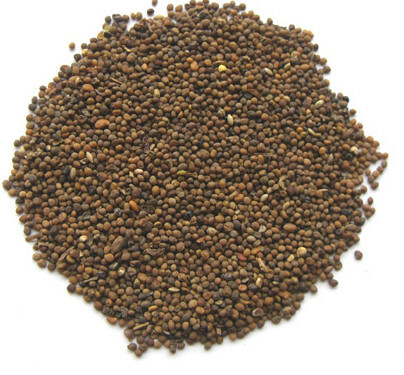 It is commonly combined with spleen and kidney-warming herbs to check diarrhea of deficiency type. For loosing stool and diarrhea due to spleen deficiency, it is combined with spleen-qi-tonifying herbs, for instance, it is used with Ren Shen, Bai Zhu and Shan Yao in the formula Zhu Jing Wan from Zheng Zhi Zhun Shen. For chronic diarrhea due to deficiency of both spleen and kidney, it is combined with herbs to tonify spleen and kidney, astringe intestines to check diarrhea, for instance, it is used with Bu Gu Zhi, Sha Ren and Rou Dou Kou in the formula Pi Shen Shuang Bu Wan from Xian Xing Zhai Yi Xue Guang Bi Ji (Comprehensive Medical Notes of Xianxingzhai House). It is indicated for threatened abortion due to liver and kidney deficiency, insecurity of thoroughfare and conception vessels, malnutrition of fetus, or metrorrhagia and metrostaxis due to disharmony of sea of blood, because it can tonify liver and kidney, strengthen thoroughfare and conception vessels to prevent abortion, relieve metrorrhagia and metrostaxis. For threatened abortion, it is combined with liver and kidney-tonifying, and abortion-preventing herbs, for instance, it is used with Sang Ji Sheng, Xu Duan and E Jiao in the formula Shou Tai Wan from Yi Xue Zhong Zhong Can Xi Lu. For metrorrhagia and metrostaxis, it is combined with herbs of tonifying kidney, strengthening thoroughfare vessel, warming meridians and stopping blood. For instance, it is used with Du Zhong, Xu Duan, Ai Ye and Hai Piao Xiao. In addition, it can be used for diabetes due to kidney deficiency; it is used as pill singly in the formula Tu Si Zi Wan from Quan Sheng Zhi Mi Fang (Secret prescriptions of Quanshenzhi). It is contraindicated in cases of yin deficiency with effulgent fire and difficult urination because of its warm property and tonifying and astringing actions.